Well, I’m blowed! Bowled over by the sell-out crowd for the debut performance of the centenary “1918” at Widecombe Sailing Club on Saturday 18th August. It’s a big church – and it was full. Wonderful feedback and photos by Andrew Lester at http://www.widecombesailingclub.org.uk/chris-hoban.html. Huge thanks to the Widecombe Singers for their support both before and during the song cycle which includes “No Parades”, “The Padre” & “The Lily And The Rose”. More performances are planned and I’m seeking funding so I can record the cycle as an album. Many thanks to Karen Chapman Newton from “The Moorlander” for the great preview. This was such a special evening – with, in addition, a display of items and articles collected by the Widecombe History Group and postcards dotted around the pews with short biographies of the men who served during the First World War, who came from the Widecombe area. And speaking as a Widecombe Singer, Chris was an inspiring and enthusiastic performer for us to back. 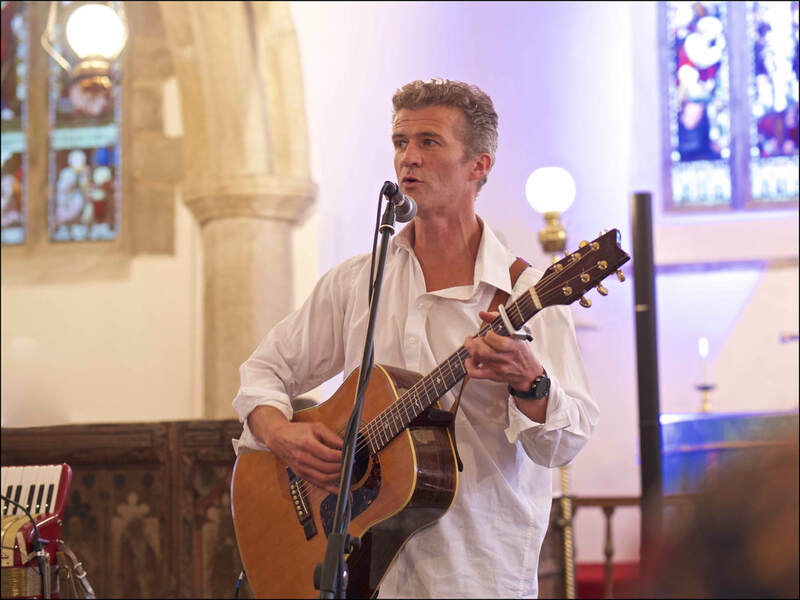 Chris Hoban is a Devon based composer, singer, songwriter and performer.